This spectacular single family home features a pool & spa on an enclosed, large lanai overlooking a lake! A GOLF membership is available for transfer. The home has a living room, dining room, two bedrooms, two and a half baths, den and a two car garage. The master bedroom has a large walk-in closet and a private bath with a double sink vanity, tub, separate shower and enclosed toilet. The kitchen has a large casual dining area, raised panel cabinetry, tile flooring and tile backsplash. The home has ceramic tile flooring in all living areas, with carpet in the bedrooms, and hardwood floors in the den. This home is beautifully furnished and available for seasonal rental. Renaissance is an exquisite country club that offers upscale estate homes, executive homes, villas and coach homes by the area's finest builders. 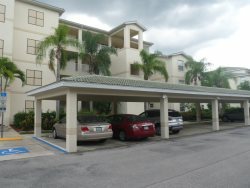 It is located in the heart of Fort Myers, Florida off Daniels Parkway near Interstate 75. At Renaissance, you'll find some of the finest amenities that you have come to expect from one of Florida's premium country clubs. Residences lace the fairways of an Arthur Hills-designed championship golf course. A variety of limited memberships are available to both residents and non-residents. Renaissance is truly a unique resort community that offers an unparalleled life style of luxury.